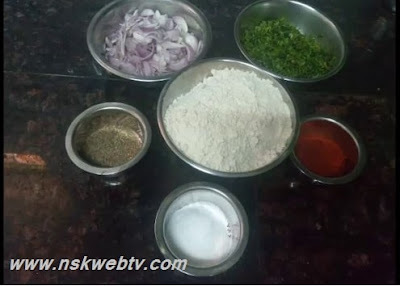 Firstly, take a bowl and add wheat flour and then chopped onions, chopped Coriander and Curry leaves, Chilli Powder and Salt as required for the preparation and Jeera 2 teaspoon. Now, mix all the ingredients by pouring water bit by bit until it turns to a pasty consistency and keep aside for 15 minutes. Now, take a tawa and heat it and then scrub with some oil and now take the pasty consistency dough and put it on the tawa and spread it evenly (this has to be done in bare hands only) and then pour some oil or ghee bake for 5 minutes and then toss it to the other side to bake. It will take a bit longer time to get completely cooked as it has onions in it. 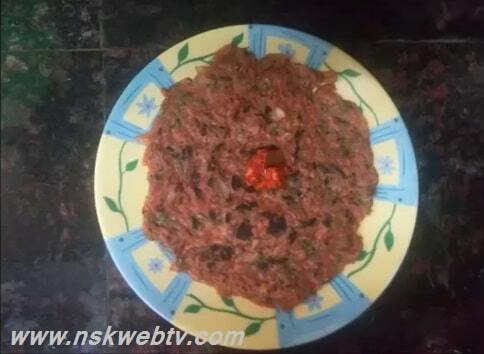 After tossing and cooking on both sides, it will turn into brownish color. When you see this consistency, our Onion Wheat Roti or Onion Chapati is ready to serve. 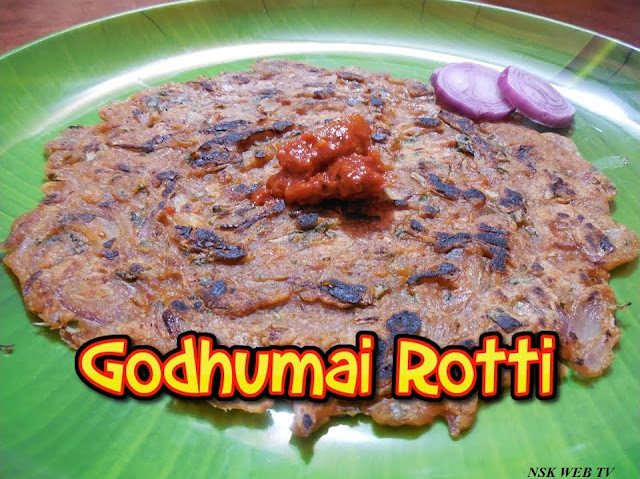 This Onion Wheat Roti or Onion Chapati can be served hot with Pickles, which is the best combination for perfect taste. The Nutrition Value is high and it tastes yummy and crunchy and kids love it very much.